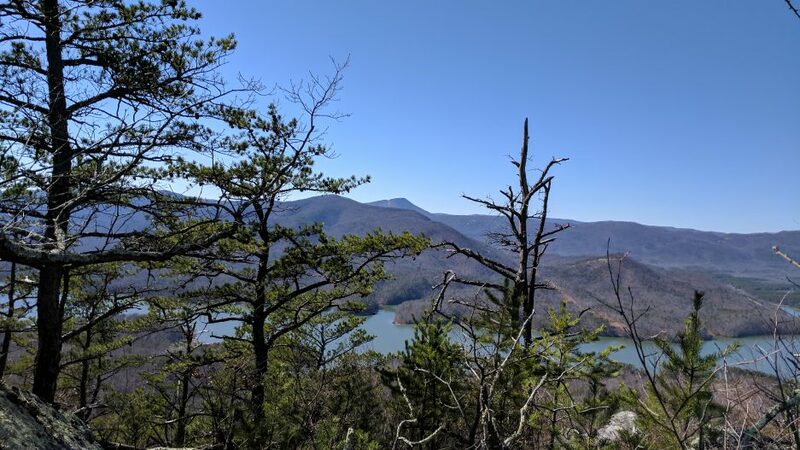 After enduring a couple of brutally windy March days (in like a lion), we took advantage of the sunny, crisp Sunday and headed out on the Appalachian Trail towards Hay Rock/Carvin Cove. The 8 mile round trip is a really beautiful hike. Once you climb the 1640 feet elevation gain, you are mostly on a ridge. There are several overlooks along the way. With the sky as blue as could be, we got some good shots. There were definitely some obstacles due to recent winds. We found ourselves climbing over, under, around and through. But we made our way to the Hay Rock in just under 3 hours, with a few stops along the way. Not sure how JG got these birds to pose for him. After all the short hikes I’ve done lately, this one really taxed my body. Going down is always more painful. But, spending time with the one I love in the beautiful outdoors, made it all worthwhile.